It doesn’t matter whether you like the high streets or are shopping for a gem in the rough, London has it all. From hidden boutiques in West End to major flagship stores on Oxford Street, you could literally shop till you dropped! The city is also home to the Camden Market, offering an eclectic mix of stalls with products at bargain prices if you are more of a bargain shopper. England is a country rich in history and London is no exception. Enjoy the beauty in Westminster Abbey, trawl through the Houses of Parliament and enjoy a sky high view from the London Eye, a city favourite giving you a peak of the whole region from above, including all of its oldest landmarks. Just like any big city, the food in London is as varied and fantastical as the people who live there! Enjoy classic British fair or enjoy something exotic, like Indian or Italian, all in the same city. With hundreds of restaurants, cafes and bars, at varying prices and with different styles, there is something to suit everyone’s tastes. As if there wasn’t enough to keep you busy, London is also home to a wide range of attractions. Buckingham Palace, the Thames, Madame Tussauds, the British History Museum and the Tate Modern are just a handful of attractions to visit and get your touristy fill. One of the best things about being a Londoner is your home life. 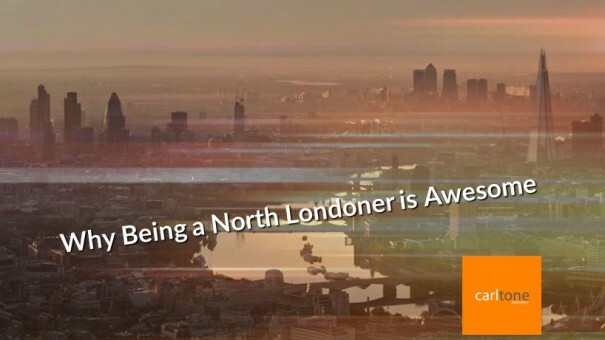 London has homes of all kinds, from North West London studios to luxury flats in North London. Big, small, furnished or blank slate, London can cater to almost any prospective homeowner. London is a great place to call home, with so much to see and do. In fact, our top 5 barely scratches the surface! So what are you waiting for? Talk to Carltone and get the London lifestyle today. Hailing its name from its former purpose as a British Rail laboratory, this beautiful transformed studio now offers a spacious place to work out in Muswell Hill. The gym features a number of exercise areas, including an underground swimming pool, an exercise room with lots of strength and cardio equipment, a weights room, beauty and holistic treatment rooms and a poolside day spa and relaxation area with dedicated manicure and pedicure spaces. If you want to look after your body, The Laboratory does it from head to toe! Founded by Michele Pernetta, the first to bring Bikram ‘hot’ yoga to the UK, Fierce Grace is one of six schools across London specialising in a fusion of Bikram, Hatha and Astanga yoga. Located in Queens Crescent, the gym is a great option for those who want to try something a little different with some of the best teachers in the industry. One of the only budget fitness clubs in London, Fit4Less is just that – great fitness at a great price. Located between Aldgate and Towerhill’s underground stations, the little gem is ideally located with modern equipment, great staff and lots of space to work out. Fit4Less is a great option for those who want a quality, traditionally styled gym without paying the high prices many London gyms ask. As the name suggests, Yogahome is a yoga studio set in a “home away from home” atmosphere. With friendly, approachable staff and lots of space to move, Yogahome offers a wide range of yoga styles run by almost 20 teachers, making it the perfect place for beginners and yoga enthusiasts alike. Located in Stoke Newington, why not peek inside the blue door today? Located in the heart of Hoxton, SPACe is another more affordable fitness option, with a generously equipped gym split by cardio and weights. The gym is also home to a sauna, so you can detox and unwind after working up a sweat on the floor. 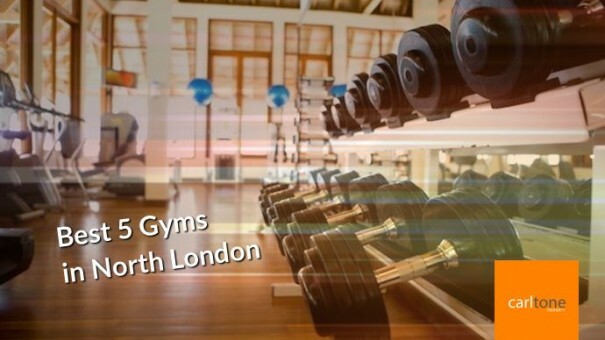 Make gym fun – try out one of our top choices in North London today! Or alternatively, check out the new gym at the Finchley Road Studios, opening in Summer 2015!